Download unique image fusion software for Landsat-8, Sentinel-2, QuickBird, WorldView-3, etc. We promote some easy-to-use image analysis software tools in a hope that they will help explore our innate curiosity with the amazing images of the Earth as seen from space. Step 1: Install Microsoft VC++ 2015 Redistributable x86 library (vc_redist.x86.exe) the software needs. (1) It is already included in the software download, and just double click vc_redist.x86.exe for its installation; (2) It is also available at Microsoft Download Centre; (3) Alternatively, it can be directly downloaded here (file size 13.1MB). If your computer already has this library, there is no need for its fresh installation. Step 4 (optional): Install free Google Earth Pro. 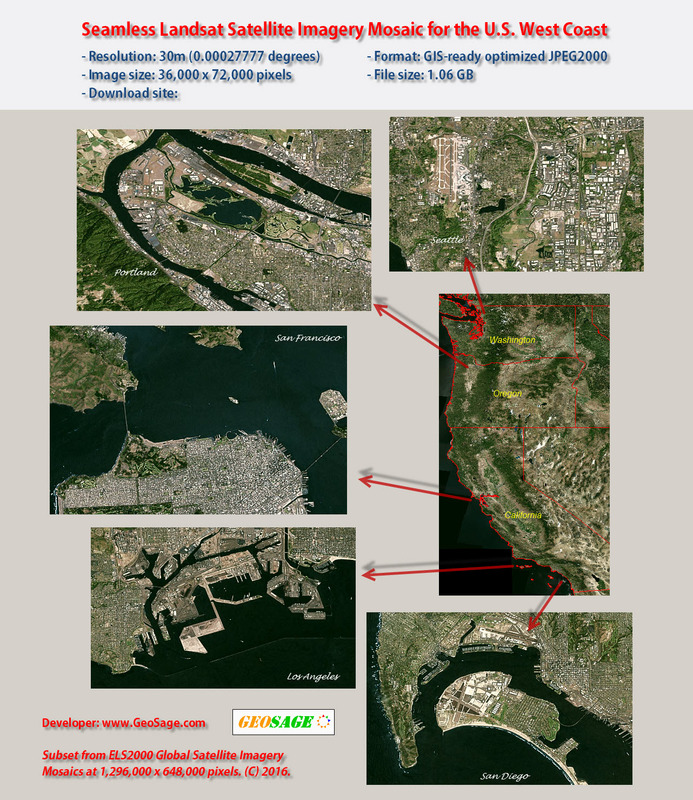 Outputs in GeoTIFF format can be readily opened in Google Earth Pro. Please fill in this request form (Landsat-8) and download links will be sent to you in a few seconds via email. Please fill in this request form (Sentinel-2) and download links will be sent to you in a few seconds via email. The trial version is for evaluation purpose only. Outputs from the trial version are watermarked with grid lines. The free trial version will expire in 30 days from the initial installation. Low-cost, full Perpetual Licences can be purchased via PayPal including pay option with a credit or debit card. GIS / remote sensing software, including open-source QGIS, ArcGIS, MapInfo, Global Mapper, ENVI, PCI, ERDAS IMAGINE and eCognition. We also offer advanced image analysis research and dedicated software development for the latest high-resolution satellite and aerial imagery. New, easy-to-use image fusion software tools are being developed for a wide range of image sources, including WorldView-4, WorldView-3, WorldView-2, Pléiades, SPOT 6 & 7, QuickBird, GeoEye-1, IKONOS, KOMPSAT-2, FORMOSAT-2, and ALOS. If you wish to learn more or to purchase dedicated / customised software tools, please email us. Anyone even with little or no geospatial experience is able to use our large-sized, GIS-ready global / regional mosaics; it can be as easy as opening files! We show you how. 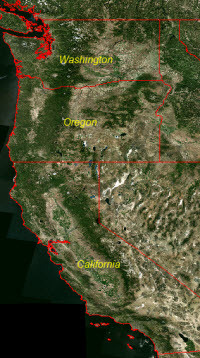 Through international collaborations, we are also offering uniquely-processed, easy-to-use NAIP (Years 2015, 2014 and 2013) state-level imagery mosaics at 1m-resolution for 48 contiguous U.S. States. If you have any suggestions or feedback, please email us.